Goats and sheep for sale from Rocky Top Farm in Smithton, MO. Welcome to Rocky Top Farms! We raise and sell registered Southdown Babydoll sheep. This is Dollar. 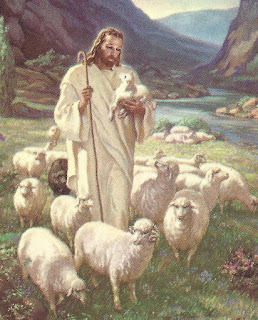 He loves sheep. seemed content in those pictures. 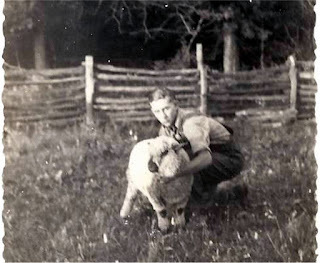 My father bred and sold sheep many years ago. 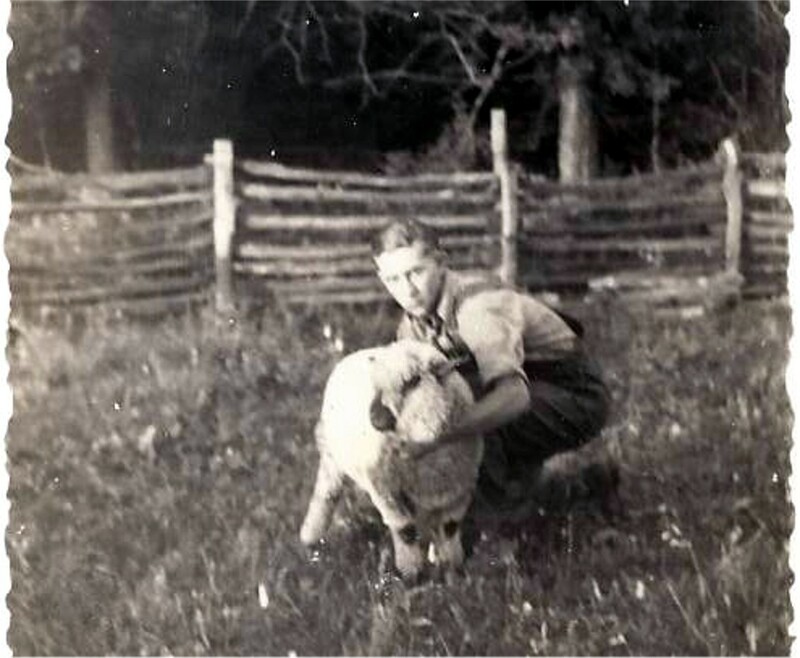 He was a member of FFA and showed sheep at the historic Ravenswood Farm in Central Missouri. He dispersed his herd before I was born. So finally, in 2014, I bought my first sheep so I could learn what it was all about. Olde English Southdown Babydoll sheep are perfect for me. They are small and not aggressive. Their faces look like giant teddy bears. You will fall in love with them. It is inevitable. And they are pretty laid back. Babydoll Southdown sheep are known for their docile dispositions. For this reason, they are often kept as pets, but they are also used in a variety of ways such as grass mowers and weed eaters in vineyards and orchards and 4H projects. They are small in stature and are easy to handle. Their small size and efficient metabolism requires less acreage per animal compared to other breeds of sheep. Thus, they are referred to as being "easy keepers." They are excellent mothers and are known for having multiple births. The Babydoll Southdown is known for its abundant carcass (relative to its size) and flavorful meat and is crossbred with lighter weight breeds of sheep to produce lambs of higher quality for market. They are also prized for their wool. Babydolls are between 17" and 24" tall when they are full grown. This makes them easier to handle than many other sheep. They make great FFA or 4-H projects for kids. Also they rarely challenge your fencing. Thanks for visiting Rocky Top Originals. We hope to add new photos of lambs as they are born. Please feel free to email me with any questions you might have. Have a Blessed Day!